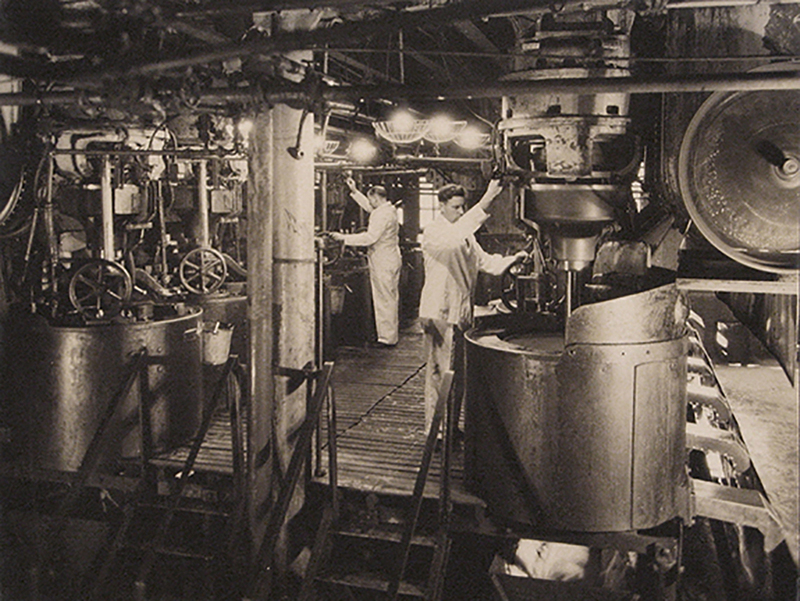 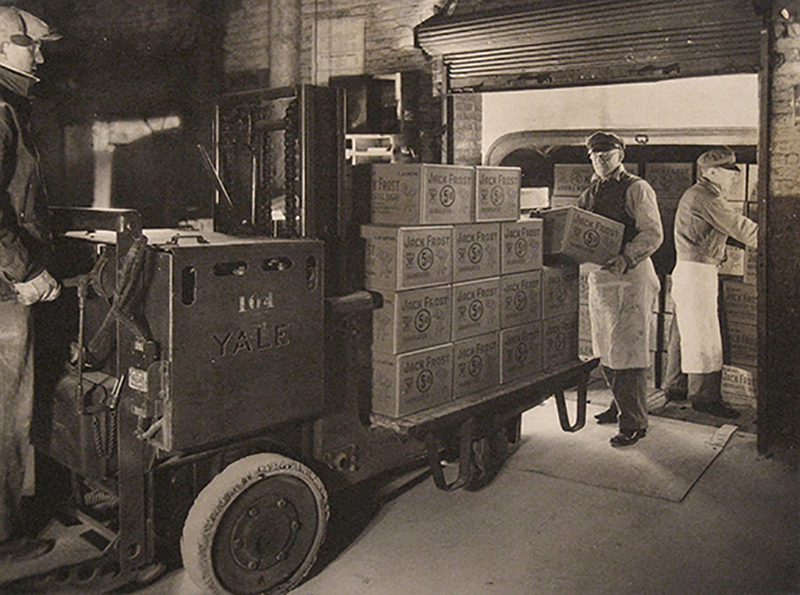 Harold Haliday Costain (1897-1994) had a thriving commercial studio in Scarsdale, New York when he produced some of his finest work photographing the inner workings of the sugar and salt industries. 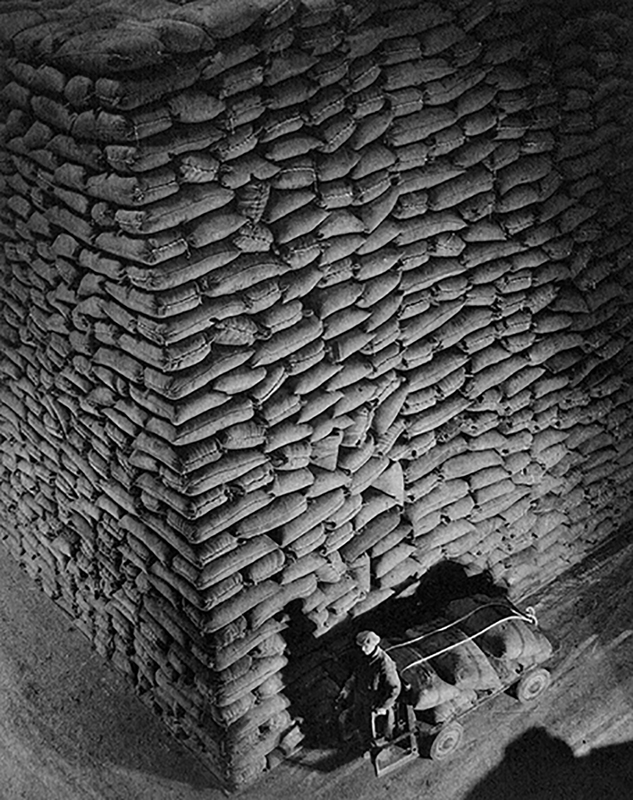 His dramatic and precisionist images of mines, factories, and warehouses were commissioned as publicity for the International Salt Company and the National Sugar Refining Company. 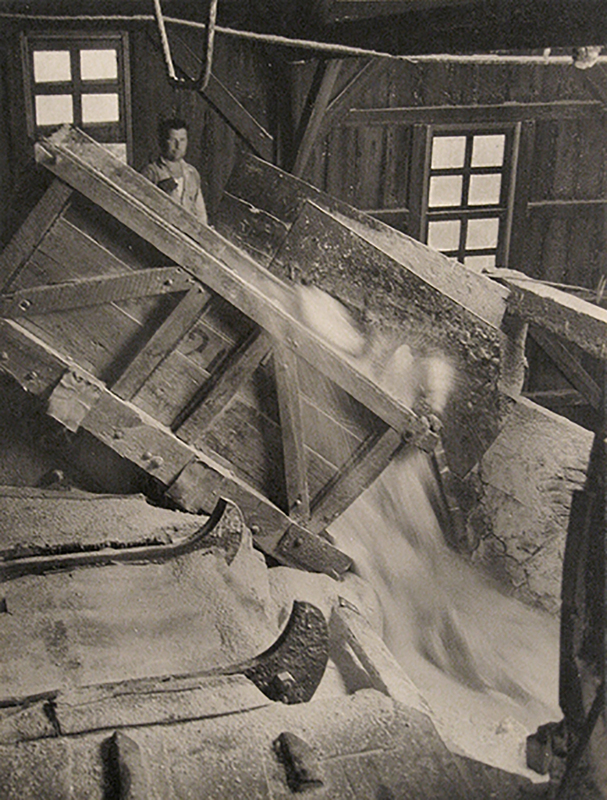 In 1934, his work for International Salt took him to the mines of Avery Island, where he photographed the mining and processing of rock salt into table salt. 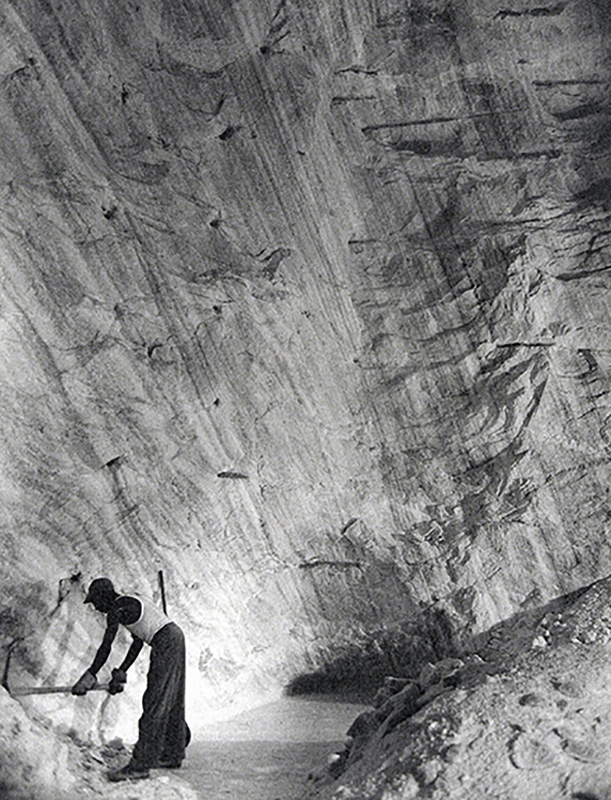 His studies of drilling and blasting made for glorious illustrations of heroic miners illuminated against the cavernous crystalline walls aglow with the photographer’s strategically placed artificial light.